The chef is able to offer today, both local and national, preparing dishes based on excellent raw materials and high-quality. 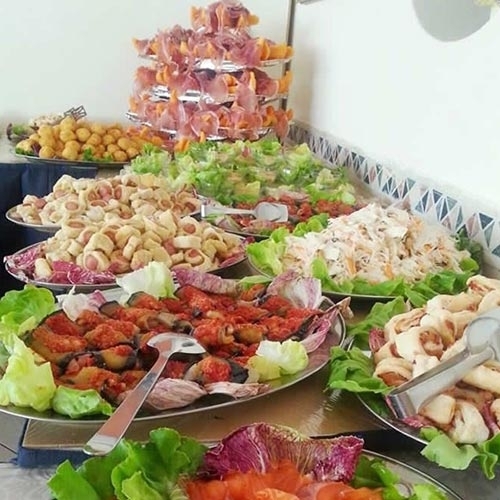 Lunch and dinner always begin with a large buffet of appetizers to start the meal with tastings of local flavors, while the table service of two menus, the meal is a choice of the guests. 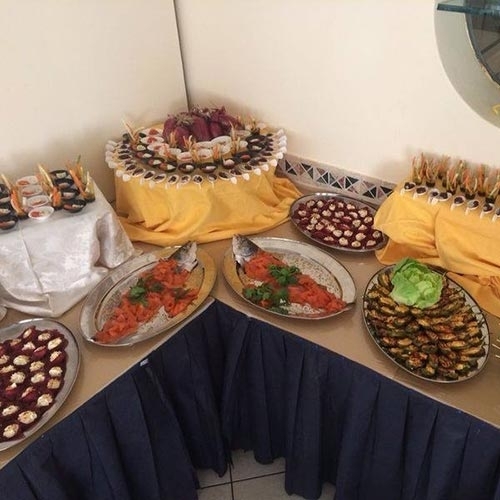 Among the proposals daily there is never a shortage of dishes of meat and fish and abundant buffet of side dishes including fresh vegetables of the season. During other times of the day, the bar of the Hotel Globus is always open for drinks and snacks, snacks and snacks to eat in the hotel or outside. The kitchen is without a doubt a strong point of the Hotel Globus, impeccable, substantial, and in line with the tastes of the territory and the seasonality and availability of products and raw materials. A further note of merit goes to the chef, Francesco, and to the staff in the kitchen that make the dishes not only good, beautiful. The decorations and theimpiattamento of the culinary proposals are every day different, with attention to detail and original to give an extra service to the guests of the Hotel, in order not to leave anything to chance. 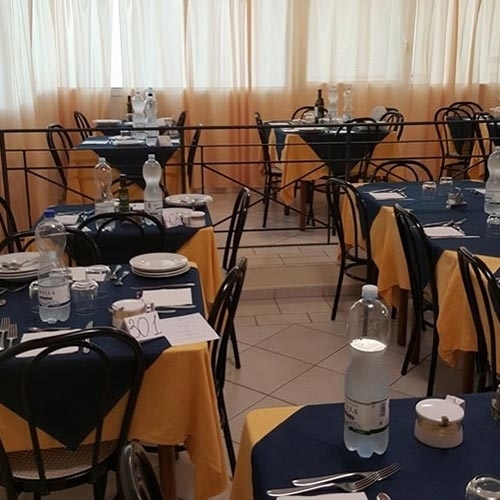 The young guests and families, then, can be certain to find at the Hotel Globus a lot of attention to their reserved places for children and the menu and dishes for children are more demanding. Easter in Rimini, all incl..
Offer June to the sea in A..
April 25th's " bridge to t..
Offer 10-17 August, all in..
Offer 17 - 24 August, even.. The end of the summer in R..
Offer 20 July - 10 August,..
A further note of merit goes to the chef and to the staff in the kitchen that make the dishes not only good, beautiful. The decorations and theimpiattamento of the culinary proposals are every day different, with attention to detail and original to give an extra service to the guests of the Hotel, in order not to leave anything to chance. The breakfast is served in the spacious restaurant, where the buffet, with delicious delicacies and homemade cakes, able to satisfy even the most demanding palates. The breakfast at the Hotel Globus is a buffet with homemade cakes, croissants, jams and cereals.Those who prefer a sweet breakfast you can find also many beverages such as coffee and cappuccino, fruit juices, and milk, semi-skimmed or whole, in addition to the delicious yogurt. For those who prefer a salty breakfast there are cold cuts, cheeses and boiled eggs. The buffet is rich and full of goodies to recharge your batteries before the start of a new day.